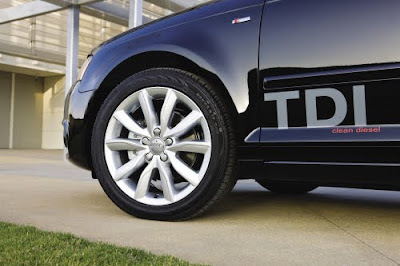 Alas, more Audi TDIs are coming to America. While we posted a similar report in September, Audi of America was more tight-lipped on the subject at the time. In a report released yesterday by Automotive News, the wraps have come of AoA's TDI plans and we could not be more excited. Citing "significant consumer demand," American buyers can look for diesel variants of the A4, A6, A8 and Q5 to join the already popular A3 and Q7 TDI models by 2015. Commenting on the aggressive TDI strategy, Audi of America President, Johan de Nysschen confirmed to AN: "We will roll out the technology across the Audi line." While TDI powered vehicles currently account for 5.5% of Audi's U.S. sales, de Nysschen said diesel sales could eventually comprise 20% of sales in America by 2015. Possibly most significant is the addition of TDI to Audi's most popular model in the U.S., the A4. It was noted that Audi originally planned to equip the A4 with a 3.0-liter TDI. Although, producing the A4 TDI with the V6 diesel "would end up with a car too pricey to sell in volume," said de Nysschen. "The V-6 is very versatile. The dilemma we face is it's an expensive unit." Audi instead plans to offer a 4-cylinder TDI-powered A4 by 2015. All in all, we think this is great news and can't wait to see more clean diesel alternatives for U.S. consumers.